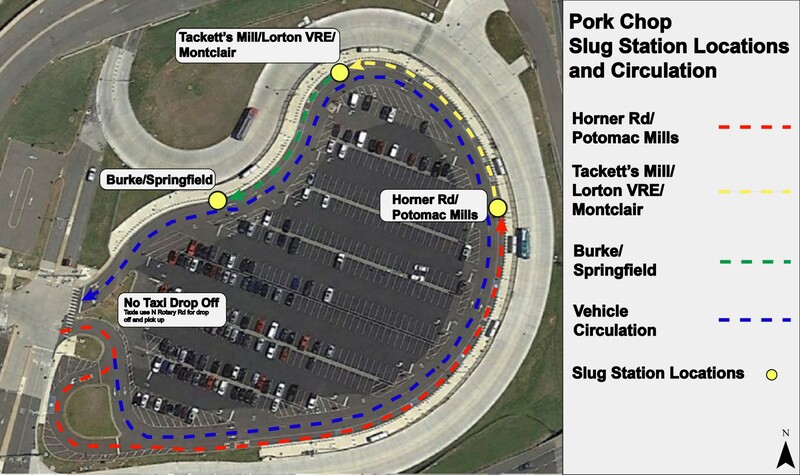 Sluglines was started in the early 1970's between the Pentagon and the Bob's at Springfield. Since then it had been growing and today we have about 3000 commuters slug from the Pentagon to different locations along I-95 corridor. 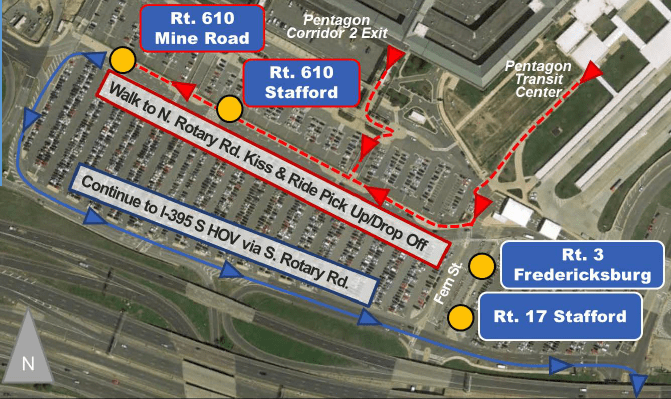 With the I-66 tolls inside beltway that started on December 4, 2017, drivers are looking to pick up riders from the Pentagon. With the tolls on I-95 commuters show up between 2:00 PM and 7:30 PM. After peak hrs riders wait at the carpool staging area near the intersection of S. Fern Rd and S. Rotary Rd. with signs to their destinations. Construction activities to begin evening (6pm) of Friday, February 16. Visit 395expresslanes.com/pentagon for more information. I’ve been a slug line driver from Mine Road the the Pentagon for a few months but I’d love to be a slug rider to Fort Myer. How do I find other drivers/riders for Fort Myer or Henderson Hall? – Construction activities to begin evening (6pm) of Friday, February 16. – Visit 395expresslanes.com/pentagon for more information.